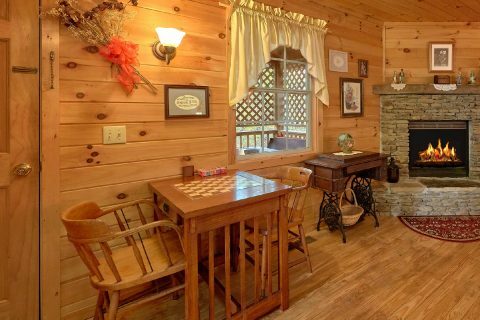 Searching for an affordable, romantic cabin that keeps you close to the action-packed Pigeon Forge Parkway? 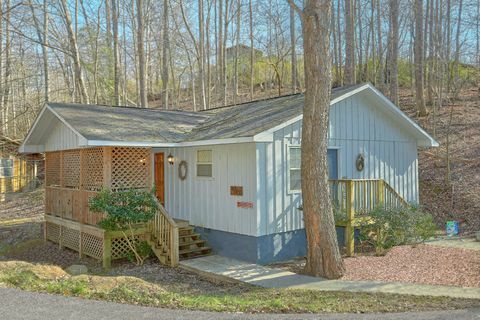 Look no further than "Gray's Place," a lovely 1 bedroom studio cabin that sleeps up to 2 guests in comfort! 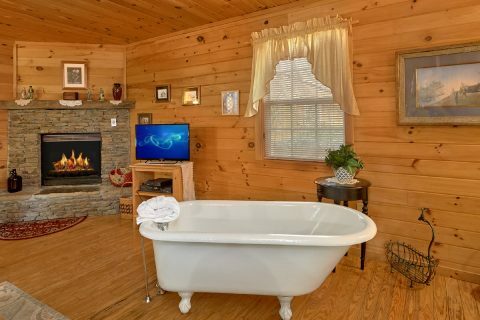 This affordable honeymoon cabin is ideal for couples and it offers a peaceful spot in the mountains a short drive from Downtown Pigeon Forge! In fact, "Gray's Place" is located less than a mile from the Pigeon Forge Parkway at traffic light #10. 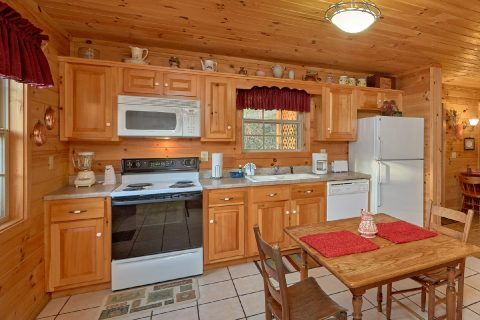 As a result, this rental is especially close to top Pigeon Forge attractions like Dolly Parton's Stampede Dinner Show, the historic Old Mill, and The Island. 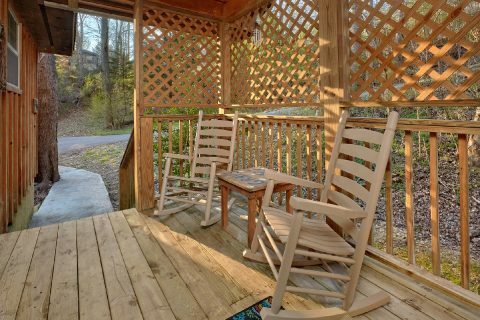 With so much to do and see only minutes away from your honeymoon cabin in the Smokies, you're bound to have an excellent vacation! 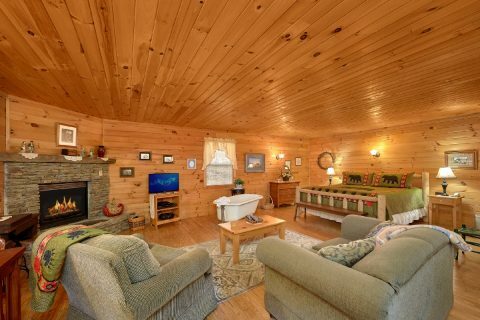 Step inside this cozy mountain cabin and you'll find a welcoming space that's perfect for relaxing. 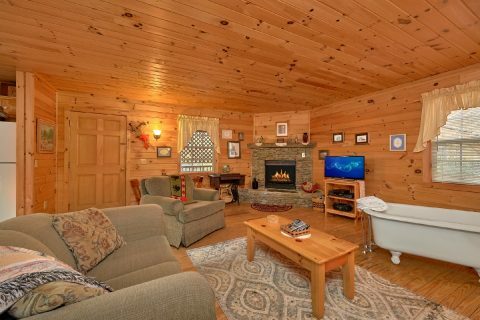 The comfortable living room area comes complete with furnishings, a warm gas fireplace, and a flat-screen television for watching your favorite movies or shows. 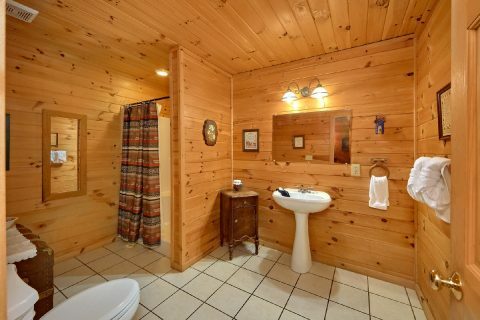 Nearby, your cabin boasts an in-room bear claw tub for enjoying a relaxing bath in privacy. 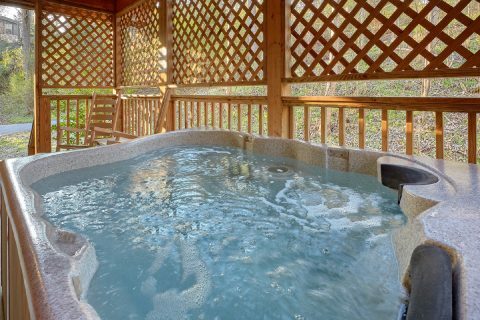 "Gray's Place" also offers an outdoor hot tub on the covered back deck, so you can take a soothing soak while you enjoy your cabin's forested location. 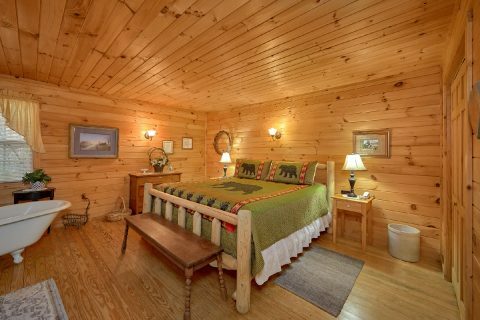 For staying well-rested on your romantic getaway in the Smokies, your cabin provides a king-size bed. Lastly, "Gray's Place" comes with practical features including a full kitchen, a charcoal grill, and a washer & dryer for you to use during your stay. 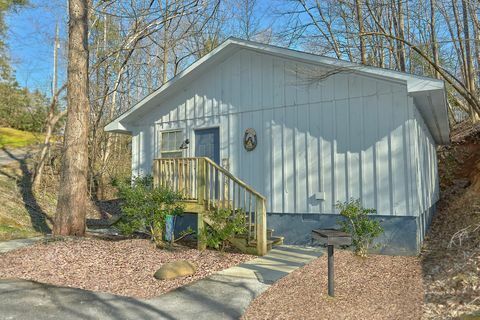 Book this affordable cabin that's located just off of the Pigeon Forge Parkway today with Cabins USA to earn a special 15% discount on your romantic getaway to the Smokies!